Fall is just around the corner, and the apples will soon be ripening on the tree. 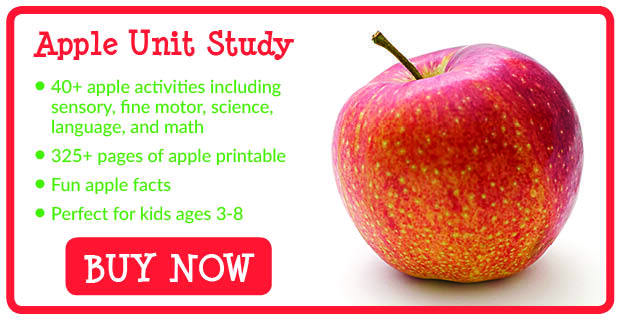 So it’s the perfect time for an apple unit study! 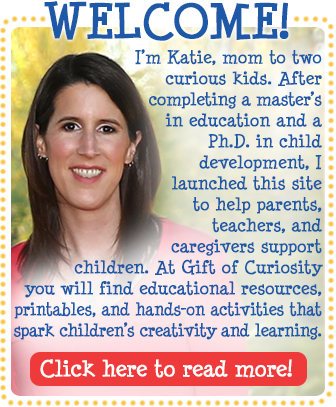 In this post I’m sharing 10 different apple Montessori activities that would be great for 2 to 5 year olds. I placed some red glass gems in a small bowl, some scissor scoops, and a silicone mold with apple shaped holes on a tray. 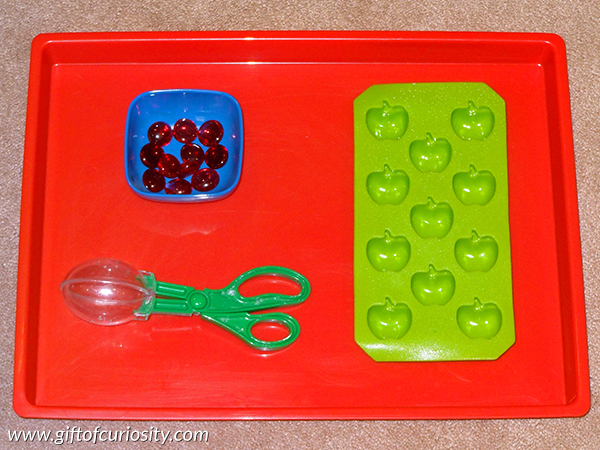 Kids can use the scissor scoops to pick up the red glass gems and place them one-by-one into the apple shaped holes. 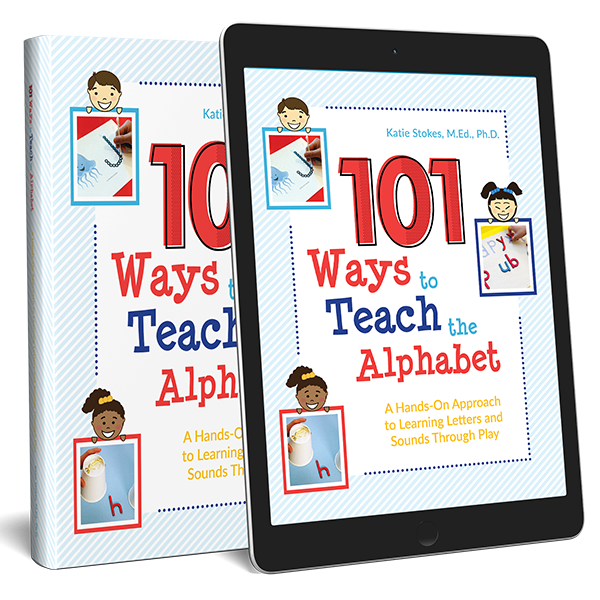 This activity not only supports the development of fine motor skills, it also promotes an understanding of one-to-one correspondence. 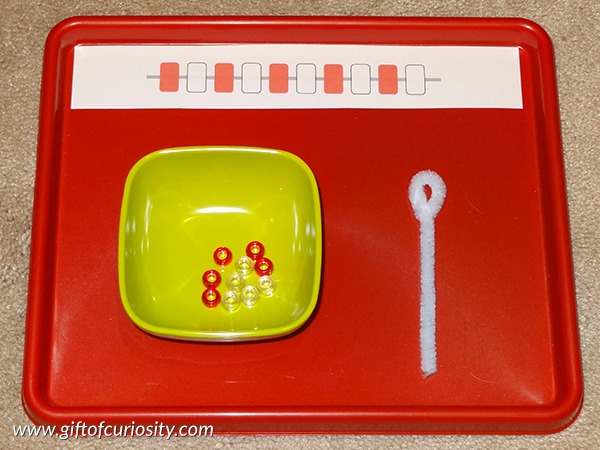 On this tray I placed red and white beads into a small bowl along with a pipe cleaner. I provided a control card at the top showing an ABAB pattern my kids could make with the beads. 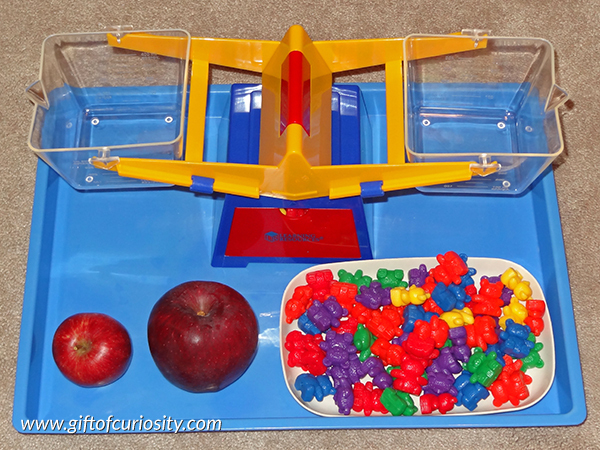 This activity invites kids to compare the weight of two apples. 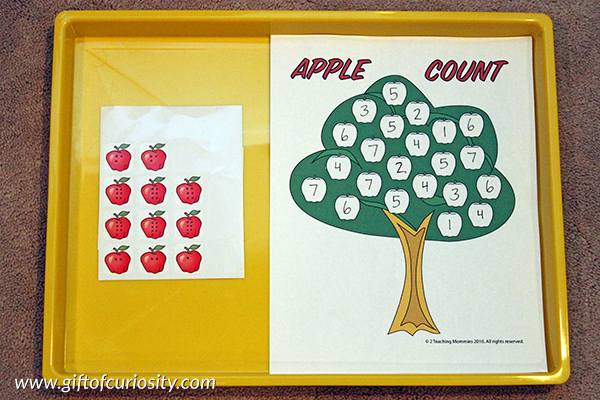 I placed two apples of different sizes on a tray along with our Learning Resources balance scale set and a handful of counting bears. Kids put an apple in each of the buckets on the balance scale, then they add bears to the side that weighs less to make the weights equal. 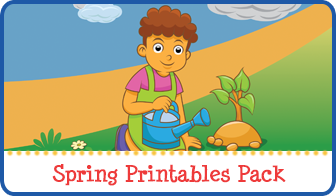 Kids then determine how many counting bears more/less one apple weighs than another. I printed this Color in the Apple Patterns page from 3Dinosaurs. 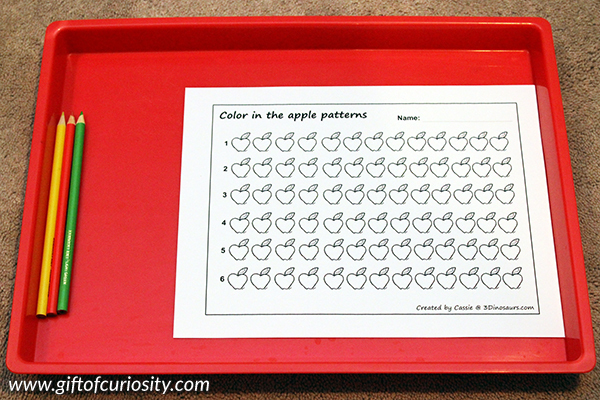 I provided red, yellow, and green pencils for my kids to make their own apple patterns. 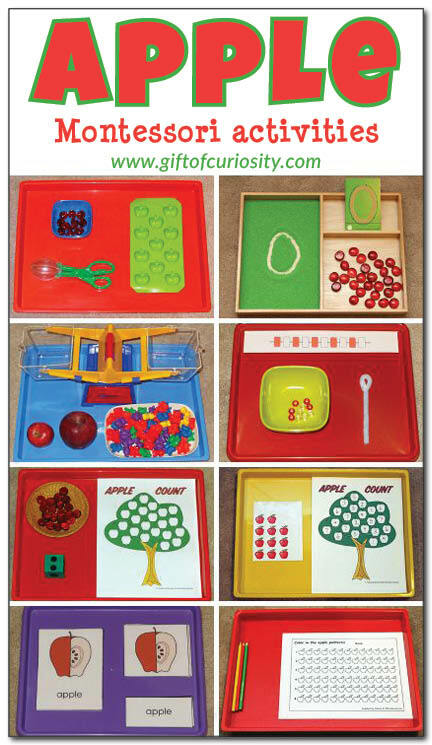 For this activity, I grabbed one of our wooden 3-part card trays from Montessori Services. I filled the large space on the left with green craft sand. I placed sandpaper numbers in the smallest compartment in the upper right of the tray. And I placed a handful of red glass gems in the medium compartment on the lower right. My kids were responsible for (1) tracing the number on the sandpaper numbers card, (2) writing the number in the sand, and (3) laying the number card on the ground and placing the corresponding number of red glass gems underneath. 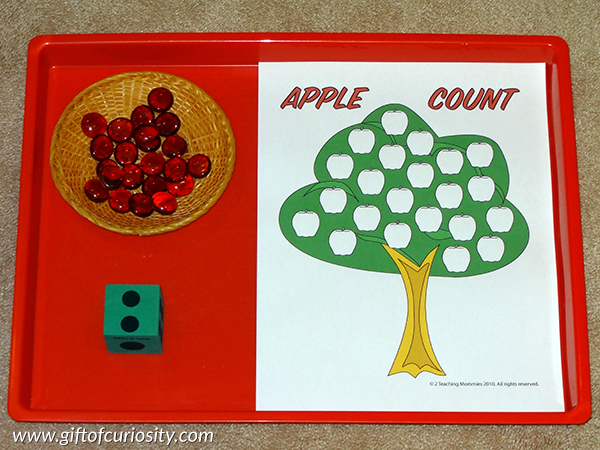 For this activity I used another copy of the Apple Count worksheet from A Teaching Mama’s Apple Preschool Pack. On the tree I wrote the numbers that XGirl was working on at the time. On a set of apple stickers I drew dots corresponding to the numbers on the tree. 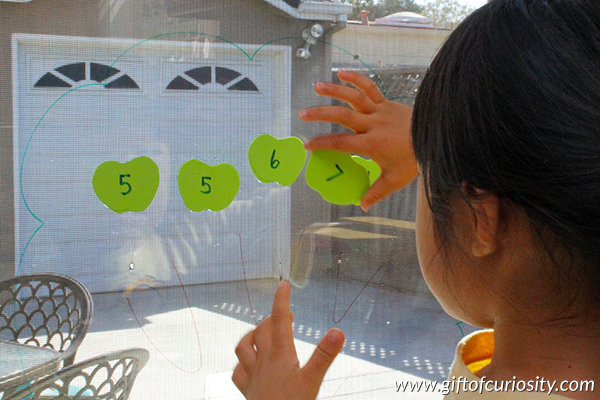 XGirl worked to count the dots and match them to the numbers on the tree. I also cut apple shapes from green foam, and wrote the numbers 5-10 on them. I put the numbered apples into a basket and invited XGirl to play. I called out a number and she had to find that number, dampen the back of the foam with a bit of water, and then stick the foam apple to the tree. 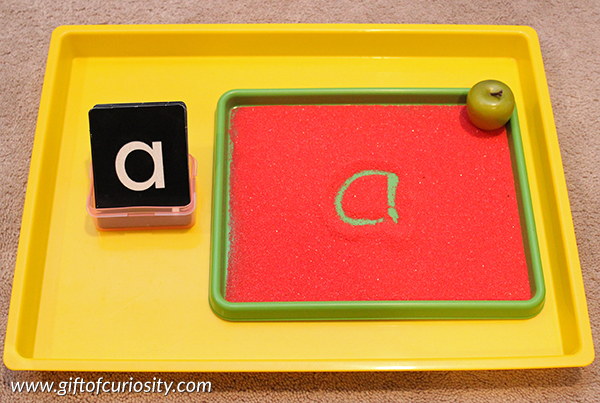 On this tray I placed a few sandpaper letters for the letters XGirl was working on. I also filled a smaller tray with red craft sand. I placed a small apple on the tray just for effect. 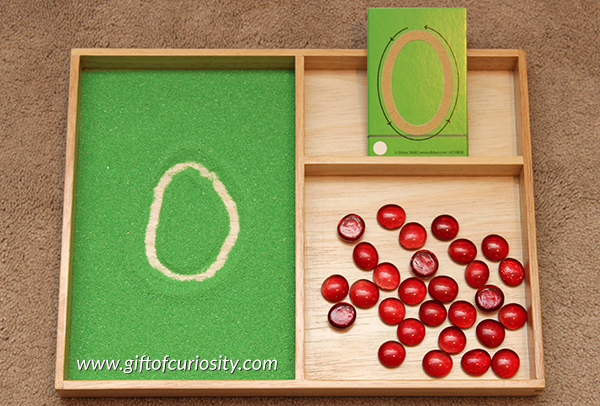 XGirl traced the sandpaper letters and then wrote the letter in the red craft sand. 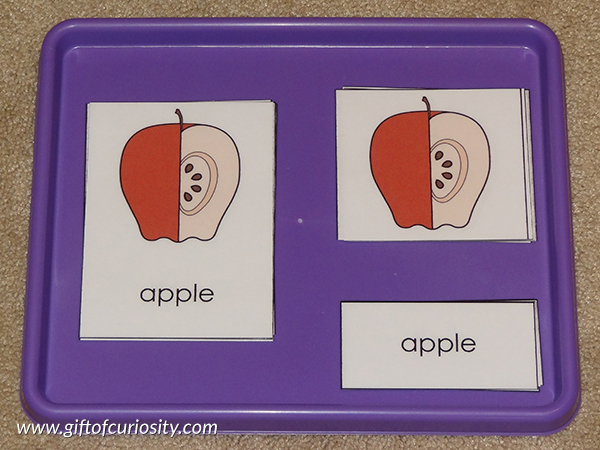 I also found these cute apple 3-part cards from ABC Teach, although you can find others at Montessori Print shop and Puzzle Heads. We used them to learn the parts of an apple. We also used them when we dissected an apple. 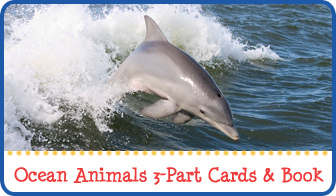 This looks like fun! 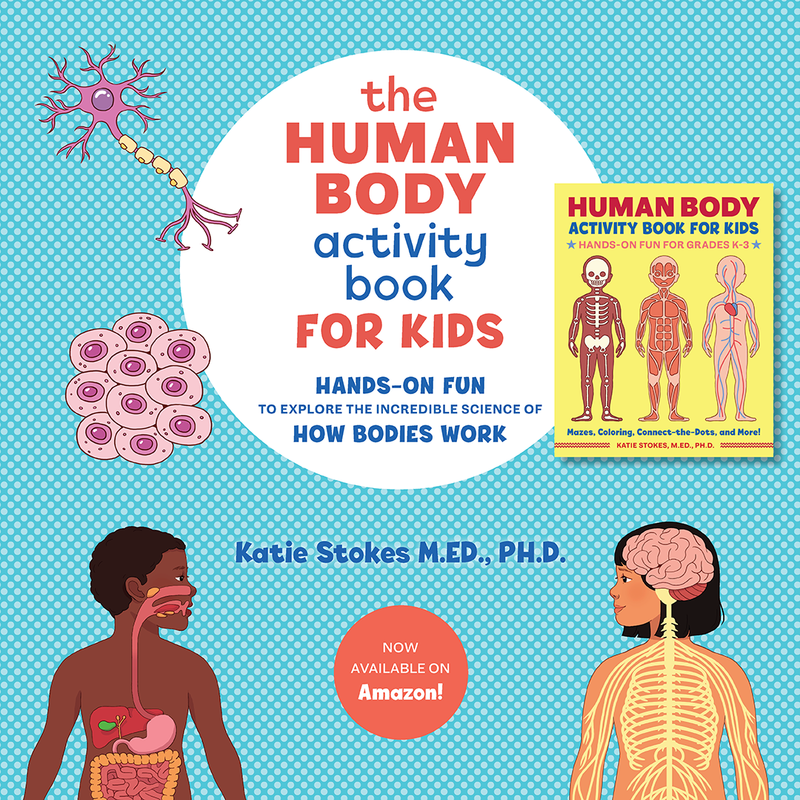 I would have loved this as a kid. Great fun learning.